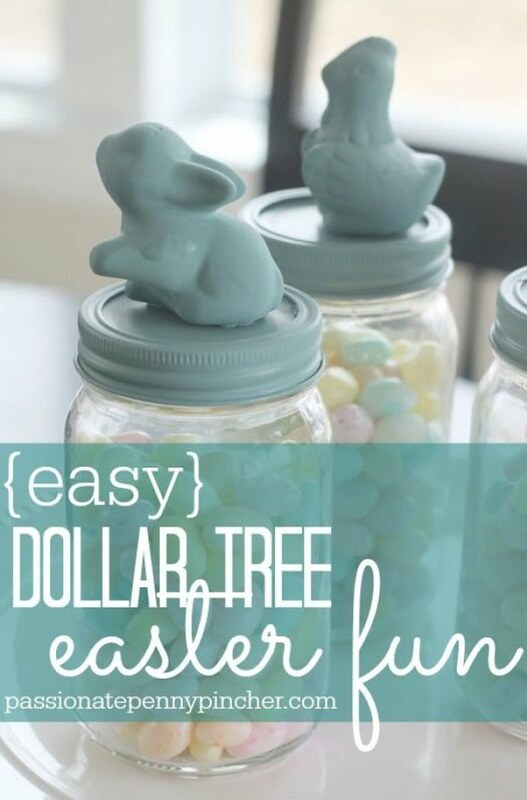 Getting ready for Easter and looking for DIY decor ideas to prepare your home for the occasion? Here are 30 cute project ideas for your inspiration. Easter is around the corner, and every DIY enthusiast will surely be on the lookout for some attractive Easter DIY ideas. There are so many things to think about – decorations, gifts, door wreaths and so on. But you don’t need to go far. 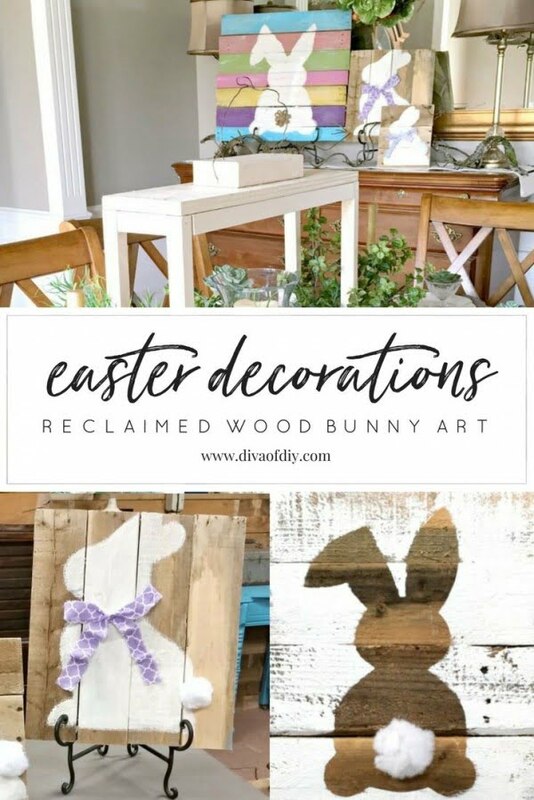 Check out the following list of excellent DIY Easter decor ideas, and you will have just about enough to tide yourself over this Easter – and maybe a couple of following seasons, too! Most of these projects are quite easy to follow, and you will need little time to finish them. And almost all materials required to carry out the projects are conveniently available at your nearest dollar store. So, without further ado, let’s jump right in! Decorative Mason jars are always a beautiful addition to your home décor, but you will love them even more in this colorful Easter season. You can put your Easter eggs in the jars or all that candy and the jelly beans if you like. And the most fabulous bit of it is that you can make these colorful jars with beautiful designs all by yourself. Check the tutorial to find how. If you are looking for easy Easter craft projects and yet with excellent results, little can beat the decorated Easter eggs DIY project. All you need are some plastic eggs, beads, glitters or any other sorts of embellishments you like (all conveniently available at your nearest big box store) and voila, you have a medley plateful of embellished eggs in virtually no time. Check the tutorial to find how easily and quickly you can finish the project. We’ve already mentioned mason jars, but how about using them as an alternative to traditional Easter baskets? Check this DIY tutorial, and we assure you that you will love the idea. Again, it’s a quick and easy project, and you may just as well involve your kids in the preparation. We bet the tiny tots will love the experience. The time we talked bunnies, right? 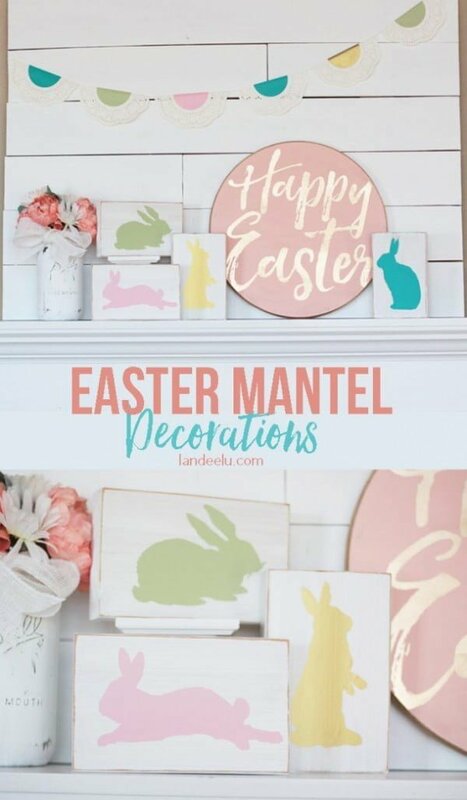 Well, here’s another easy-to-make Easter DIY canvas art which you can also keep using throughout this spring season as a home décor piece, too. All you’ll need are some foam bunnies and a bag of moss. Covering the bunnies with moss will be easy enough, but you can go one step further by mounting it on a canvas. Check out this great tutorial to find how. Another nice spin-off on the traditional Easter eggs basket is the DIY ‘Egg Garland.’ Yes, this excellent tutorial shows how you can come up with any number of charming concepts with the different Easter symbols. So here the blogger discusses how to make a colorful egg garland this Easter and use it as an excellent mantelpiece décor during the festive occasion. 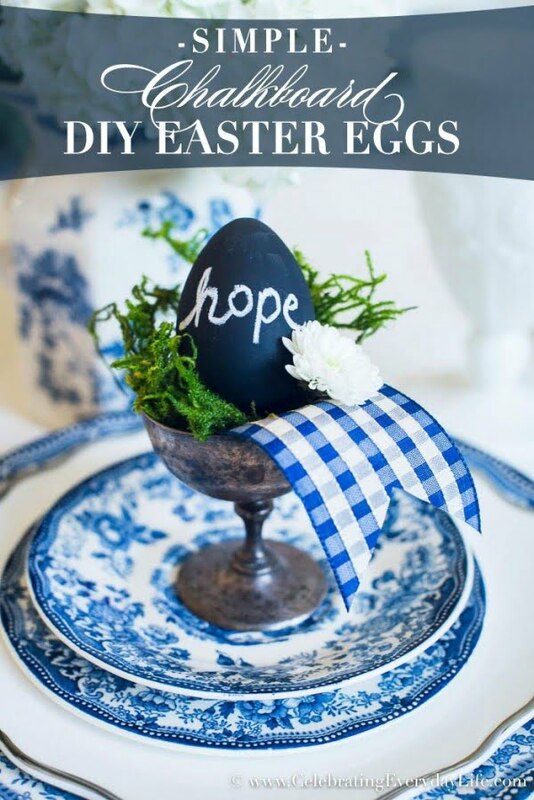 This DIY tutorial by Jennifer you’ll love particularly for its innovative idea and for how you can turn the Easter motif of the Eggs in a piece of beautiful spring craft. The process is somewhat lengthy, but you can finish it with the help of a few simple supplies. 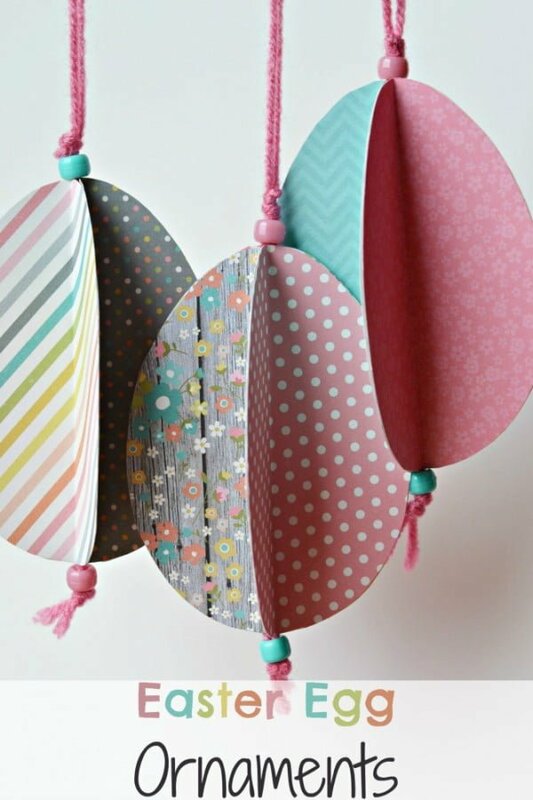 These beautifully crafted colorful and patterned pastel paper hangings emulating the oval of the eggs will be ideal for Easter decoration, but they can as well be used as permanent home décor pieces. And this is why we love this DIY craft idea. Easter décor is all about colors, but they don’t need to be glitter and gaud all the time. For a change, you will love these soft tint Easter wood round signs made with the help of stencils and spray paint. They will be great for putting atop your mantel this Easter. Follow the tutorial to find how you can make these signs easily at home. Well, these are some easy to make Easter basket-like gifts which have their virtue in simplicity. They are so named since all that you need to make these are available at Dollar Tree stores. And you won’t need much. 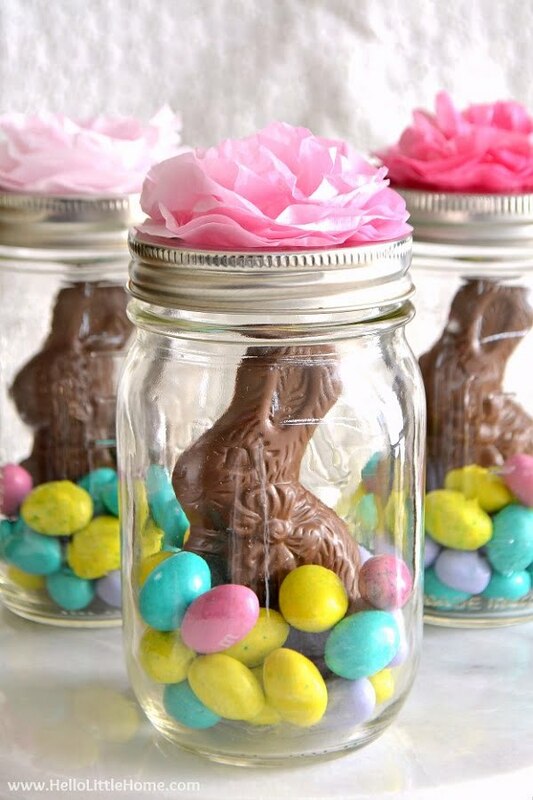 A simple mason jar, some ceramic/plastic eggs, and toy bunnies and some cute candies to fill the jars with. Once complete, you can gift them to yours or your neighbors’ kids, and you will surely love watching their faces light up. Please follow the tutorial guide to for more details. Yes, wreaths are not only for autumn and the Halloween season. 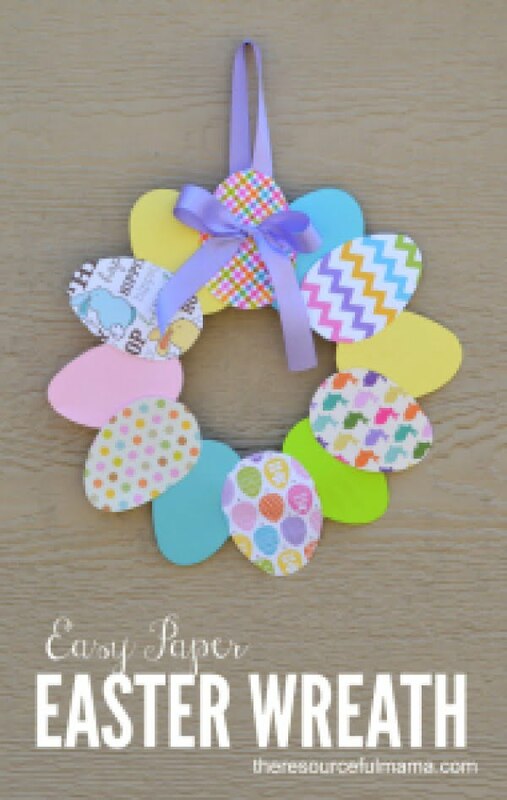 And you’ll get convinced of it once you check out this super cute Easter wreath. Find out how to make this pastel paper adorned Easter wreath in this DIY tutorial. How about some bunting for Easter decorations? This tutorial shows how to make great-looking pom-pom bunnies with the help of some simple templates. Once done, you can string these little cuties as buntings and decorate your furniture, walls and the mantel with them. Now, how about some pom-pom bunnies? Pom poms always look cute as anything, and so do bunnies, so you can imagine how adorable the combination would be! Most DIY makers may also love the fact that this one is not as ready-made as most other projects in this list. You’ll need to spend some time on this, but we can assure you will enjoy it and so will everyone at your Easter party when you string the bunnies into garlands and decorate your place with them. Some more wooly stuff here! 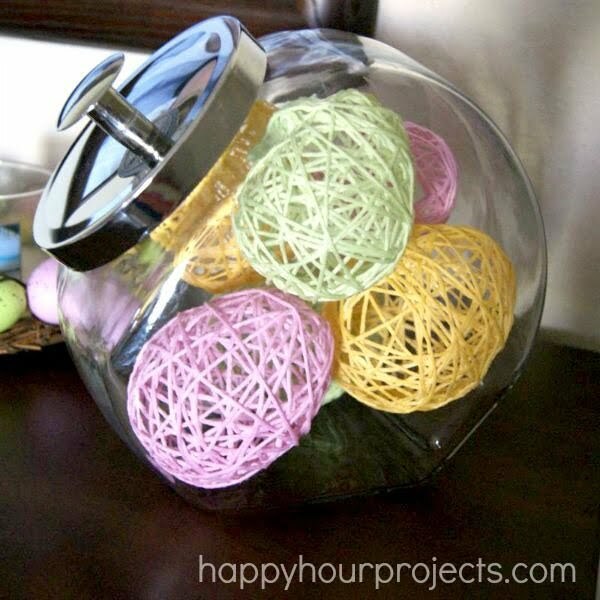 But instead of pom poms, this tutorial shows how to make colorful yarn eggs for the Easter. The project is relatively easy to follow, and you can include your little ones in the project. With the glue and everything, they may get a bit messy, but as long as you don’t mind! Some more bunny art! But this time, for a change, with a rustic flavor that comes almost exclusively from the soft-hued, matte color palette of the pallet boards. If you want to romp up the rustic feel, you may also eschew color altogether and let the wood grains do all the talking. Follow the tutorial closely to complete the project. 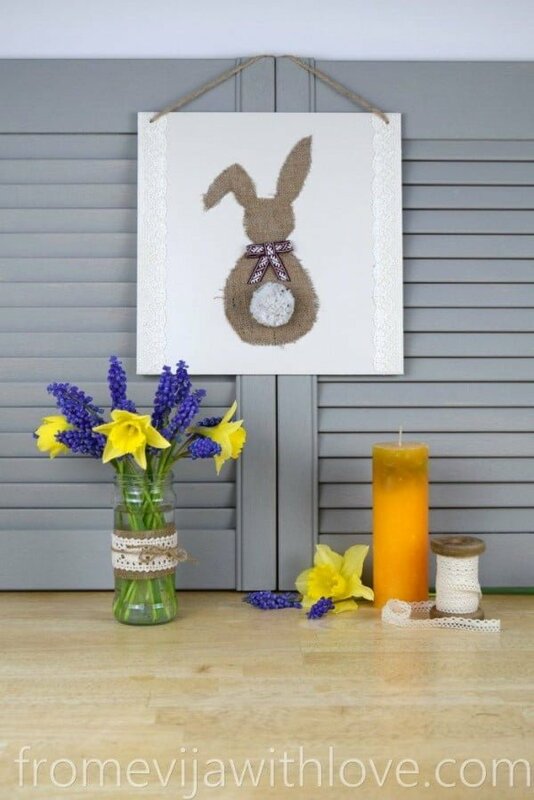 Follow this tutorial to craft a beautiful and eye-catching Easter bunny sign. Complete with a burlap bunny with a pom-pom tail and a ribbon around its neck and with some white laces used as decoration, we’ll bet you won’t come across too many Eastern signs this season that can beat this one. Back to eggs again, but this time with a little difference! 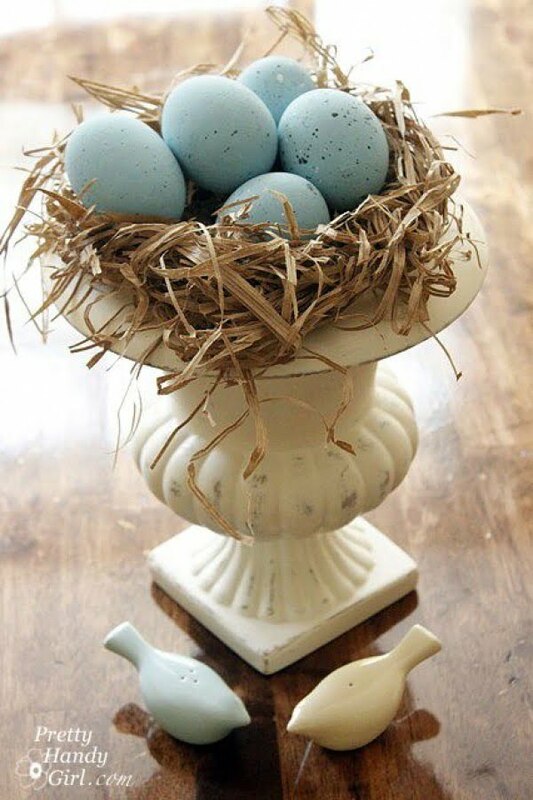 We’ll still be using faux eggs but now paint them squarely with thick and dark chalkboard paint whose texture alone bestows a unique elegance on these decorations and make them perfect to mix in with more formal decorative materials such as flowers, lace, etc. Finally, you can write in some little inspiring messages over the eggs to make them stand out. 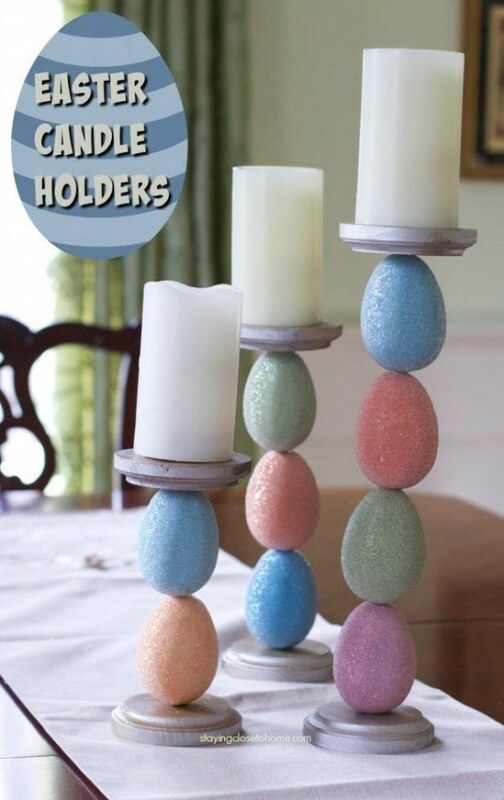 After the garlands and the buntings, how about an Easter egg candle holder? Quite apart from the beauty of the piece itself, the very uniqueness of this DIY idea will grab your attention all at once. And for all that, the project is quite easy to follow, and it won’t take you more than an hour to finish it. 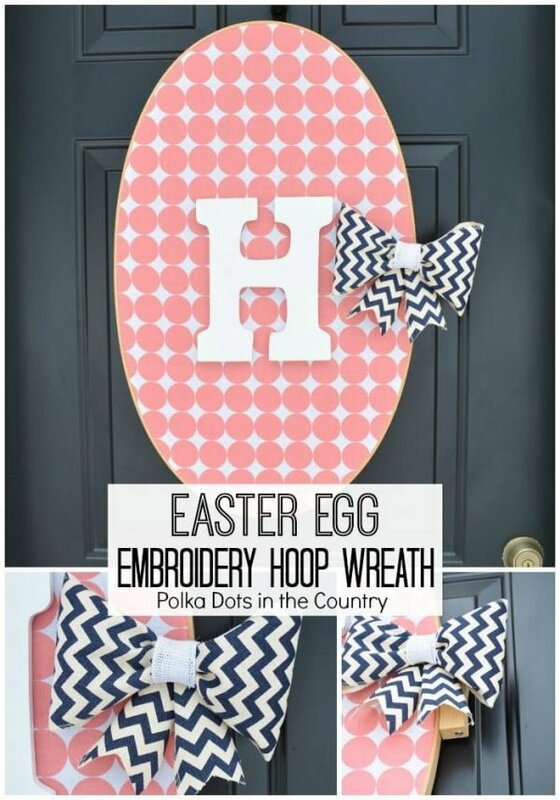 If you are into embroidery (which means if you already have the embroidery tools and won’t need to invest separately on them), this Easter Egg Monogrammed Hoop Wreath is one of the most beautiful Easter decorations you can DIY this season. Check the tutorial to find a step by step guide on how to make the wreath. To reiterate, wreaths are not only meant for Halloween decorations, and anyone familiar with DIY wreath projects will find preparing this grapevine wreath a cinch. You add the bunny motif just since it is Easter. You may also store the wreath and use it again when it’s autumn, of course having removed the bunny then! And to finish with, we leave you with this giant carrots door wreath, or you may call it a hanging – your choice! What is essential though, it looks great, and if there is still somebody who fails to appreciate it, you can rest assured no bunnies will! Do check out this tutorial to know more. 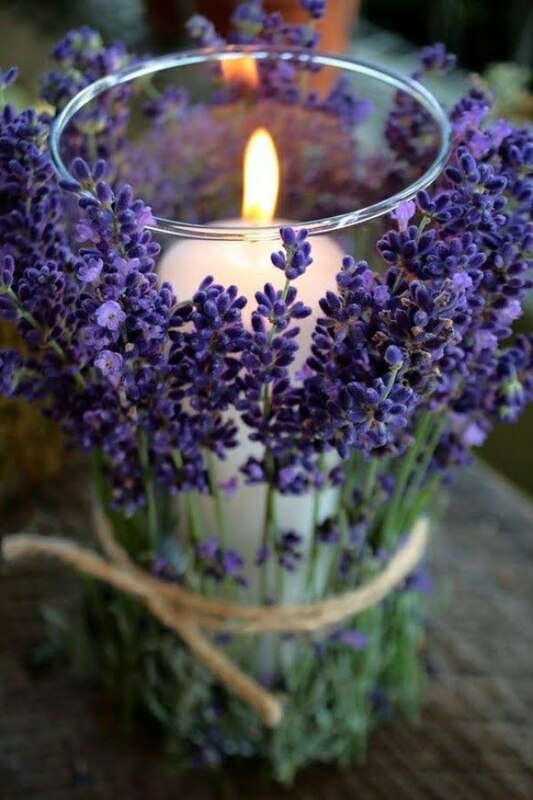 Use some twine to tie a few fresh flowers to a candle holder for pops of color and spring accents. This makes a beautiful Easter centerpiece. 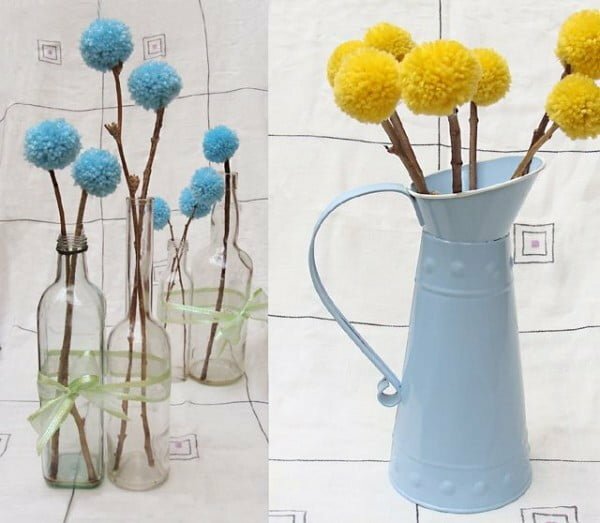 Glue yarn pom-poms to branches to embellish your Easter vignettes. Shred some craft paper and create this beautiful Easter nest. Place your Easter eggs inside for a beautiful centerpiece. 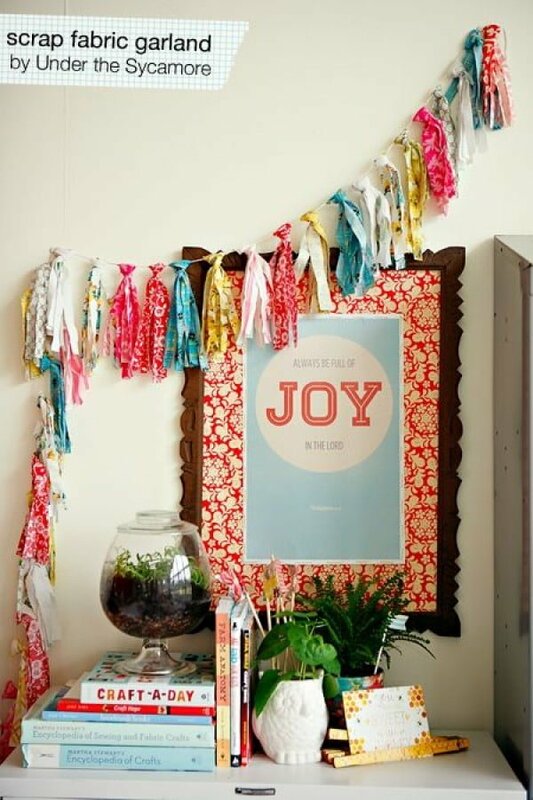 Embellish your display shelves with pastel colors by making garlands of scrap fabrics. 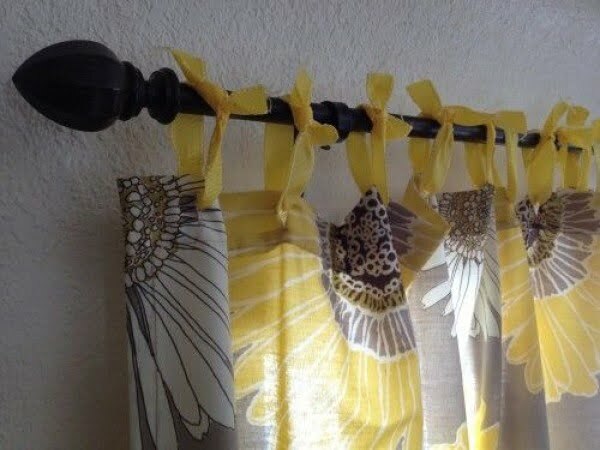 Replace the curtain hooks with ribbons in pastel colors for an unexpected accent. 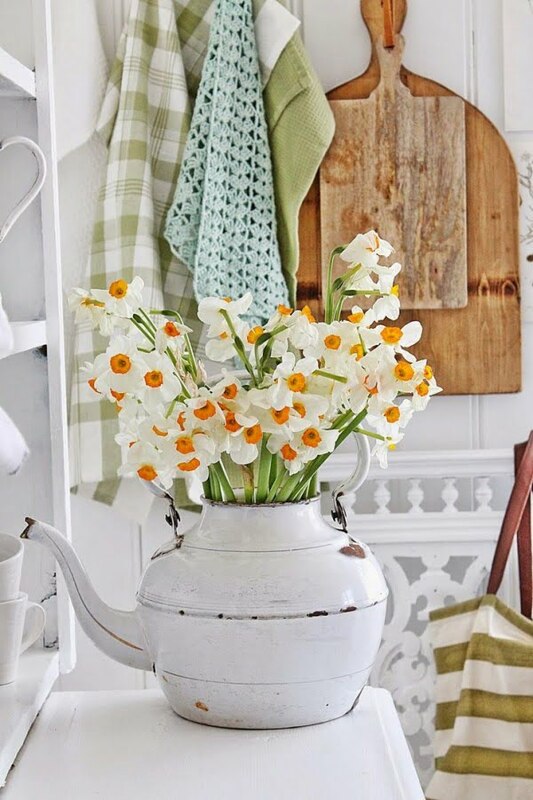 You’ll do good adding some whimsy by using an old teapot, a cup, or even a kettle full of fresh flowers. 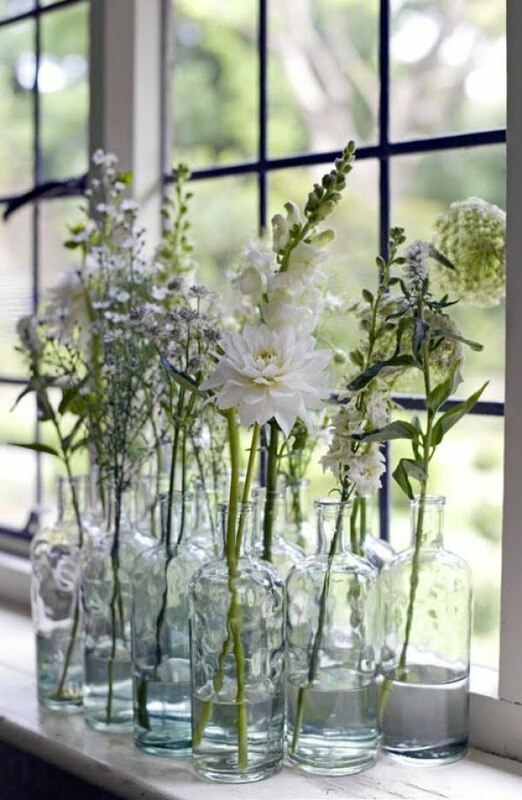 Likewise, you can create a simple vignette but one that makes a statement by adding a few green plant springs or fresh flowers to glass bottles. 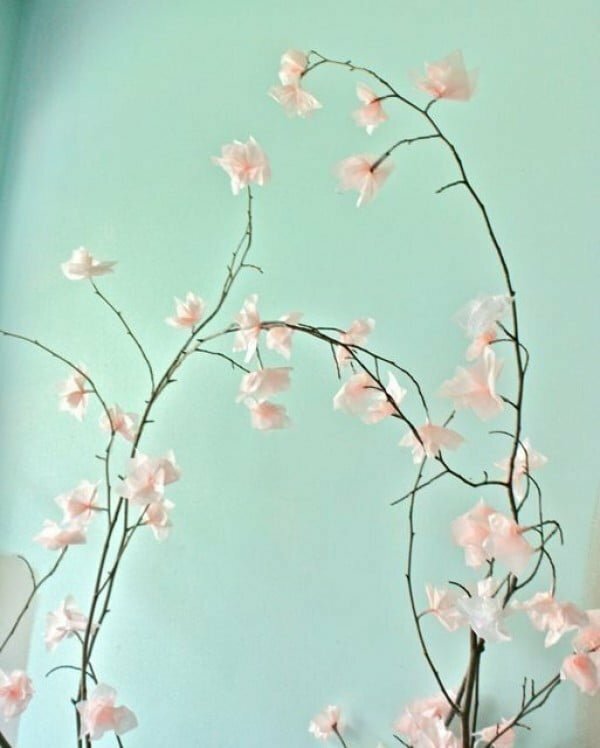 Glue blossoms made out of tissue paper to branches for a beautiful springtime accent. Check out the tutorial. 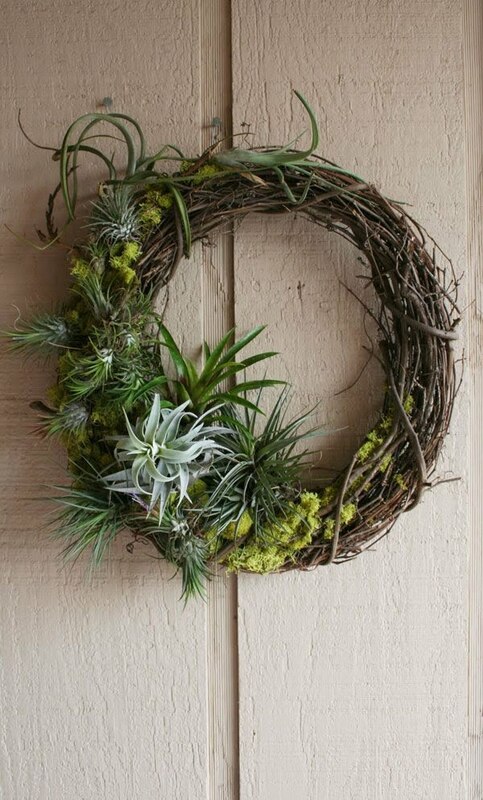 Use this tutorial to create a beautiful wreath out of moss and succulents for a brilliant Easter decor feature. 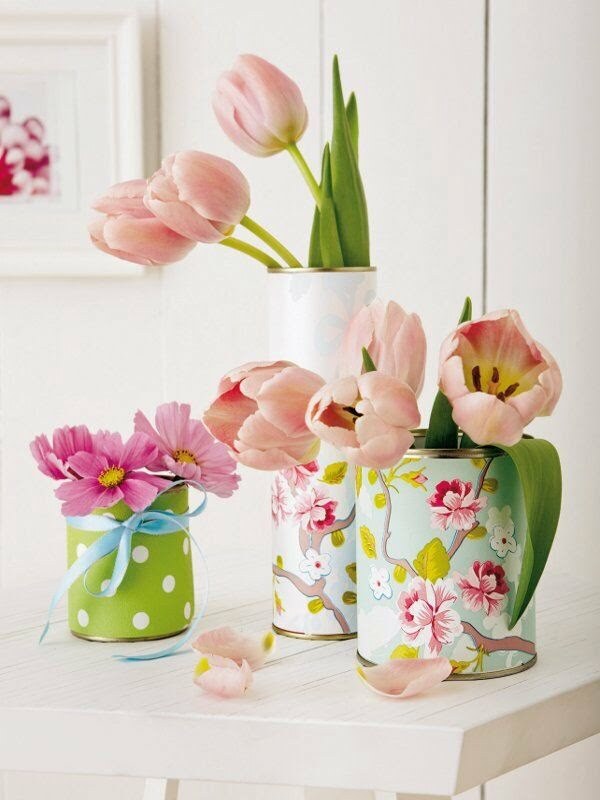 All you need is some wrapping paper in the pastel color or floral patterns to make your vases all about Easter.